I'm sure you've been seeing all the ombre shirts on the runway and in the stores as of late. 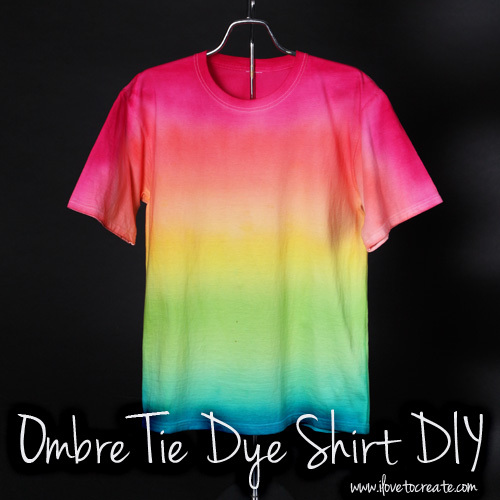 Ombre is the best thing to happen to tie dye since Jerry Garcia! You would think this technique would be super difficult, but it's not as hard as you might think. Check out our designer Lauri in her "DIY NEVER DIES" video where she shows you step by step how to get the look! You're going to be so excited to see how it's done!